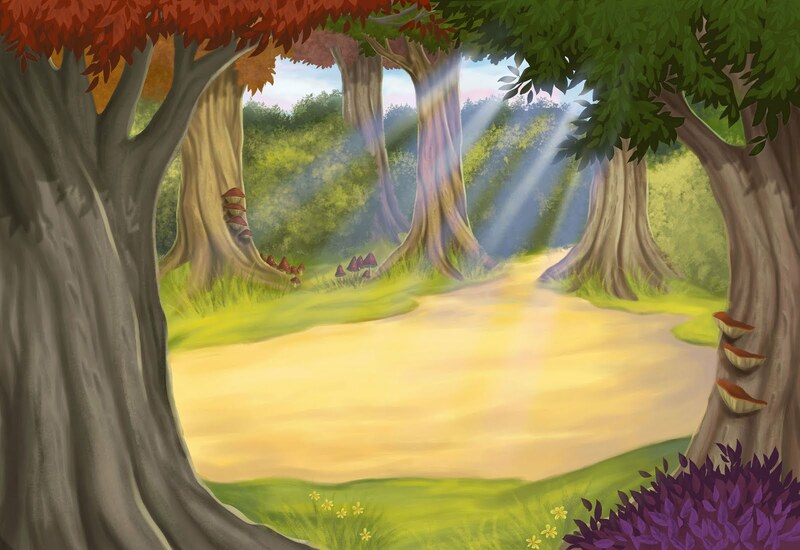 I did this background for the fairie book, it will show a little girl sitting underneath the left tree and a fairie flying upon her. 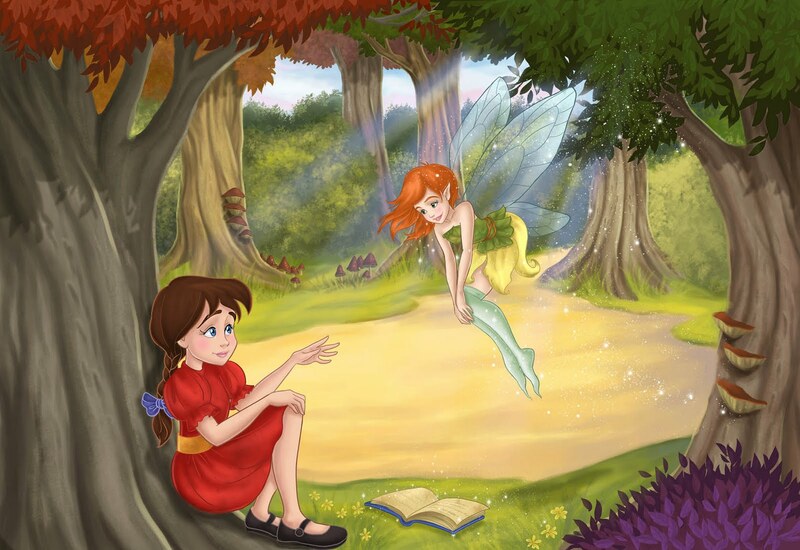 So, the background and characters were aproved, and it finally came out like this (the redheaded fairie is a character by Gloria Saavedra which I had to take as reference by wish of the editor). 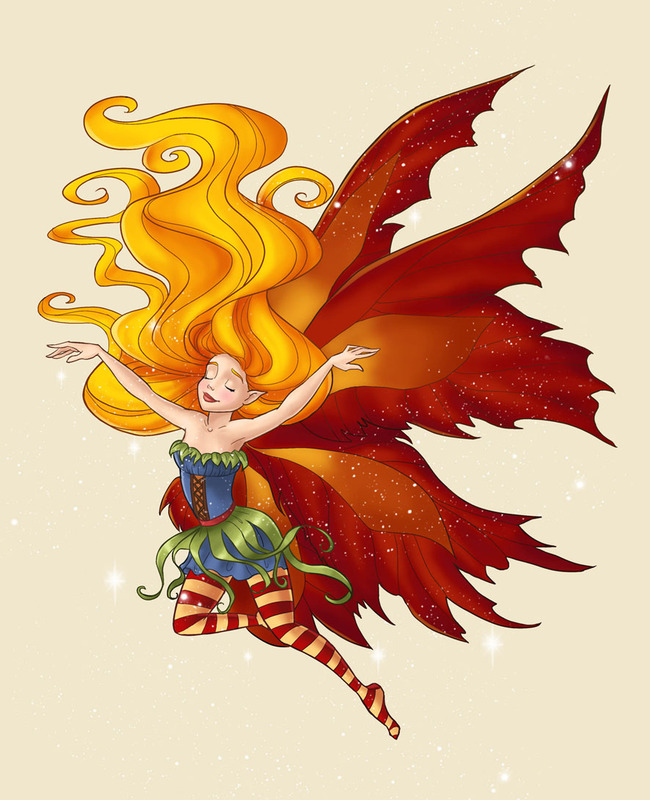 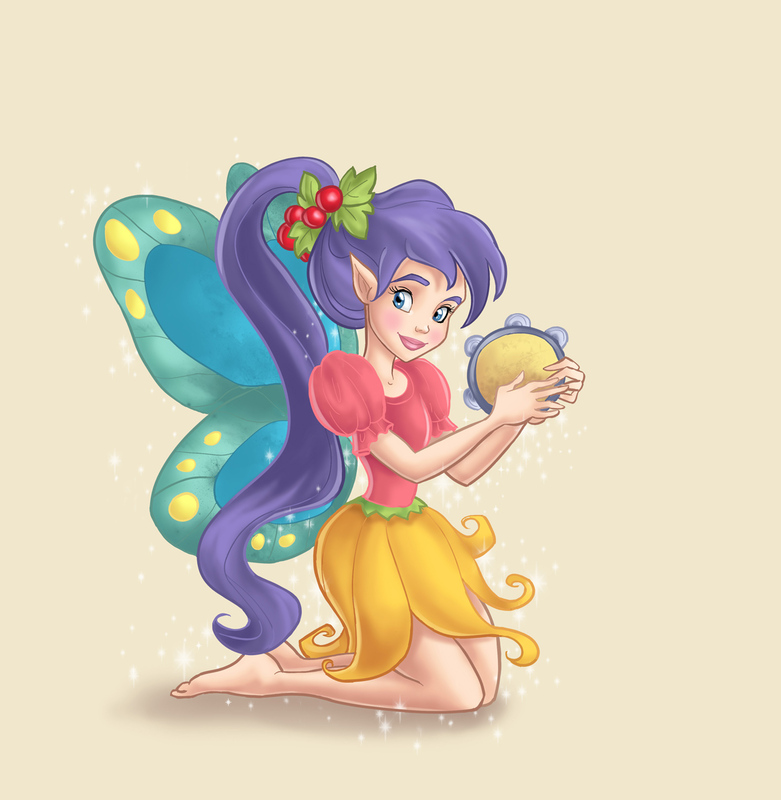 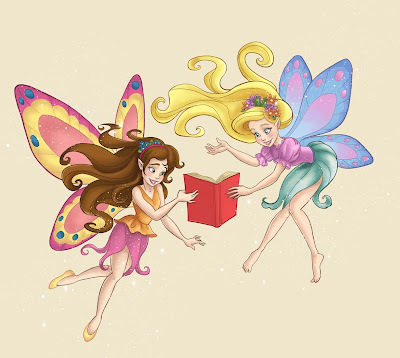 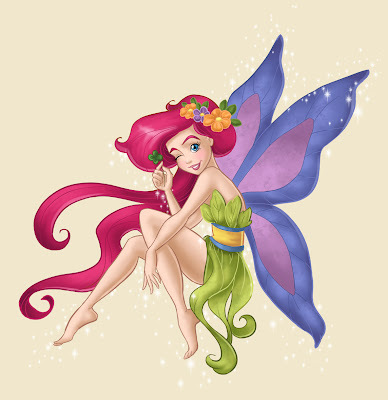 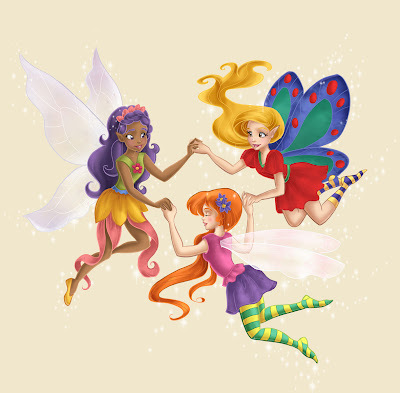 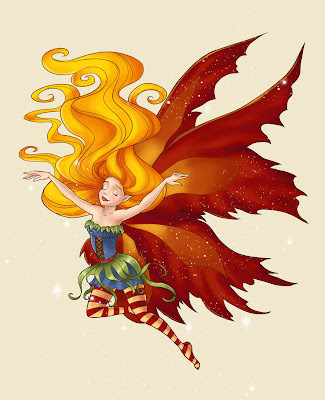 Here the first two illus of the fairies in color, I will be posting more soon.